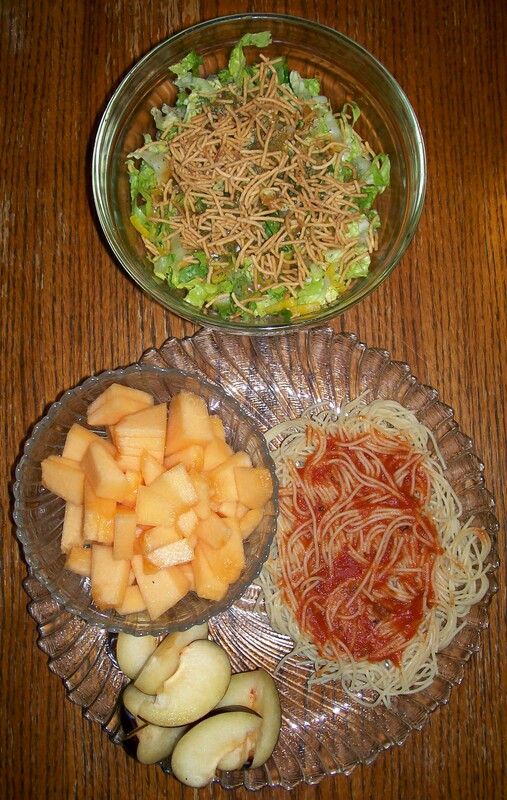 Clockwise from top: Salad, Angel Hair Pasta with Spicy Spaghetti Sauce, Plums and Cantelope. I have gotten to making this soon after I make the Rice Pizza, ’cause I use commercial spaghetti sauce as the pizza sauce and then use the rest for our spaghetti dinner. The Hubs and I went to town today, so once I got home, I really didn’t want to spend a great deal of time in the kitchen…this meal is a go-to quick fix. The fruit was okay; although, everyone is about canteloped out and no one jumped for joy over the plum. I think I might go to one fresh fruit per meal from now on….it is getting hard to find good fresh fruit. 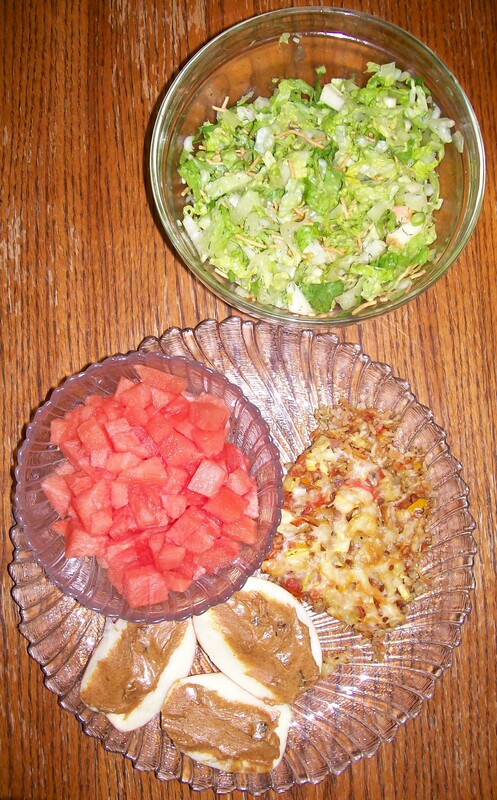 Clockwise from top: Salad with Apples and Maple Vinigrette from (http://fullplateplanet.wordpress.com/2010/10/05/the-terrible-horrible-no-good-very-bad-day/) Brown Rice Pizza (Recipe Below), Apples with Gourmet Peanut Butter and Watermellon. The salad was good; although I used LOTS more of the maple syrup than it called for….probably wasn’t as good for me as it couls have been…lol. The Brown Rice Pizza was good, as usual….I think I am getting to be a bit of an expert at it!! The watermellon sucked….it is just too late in the season, I think. 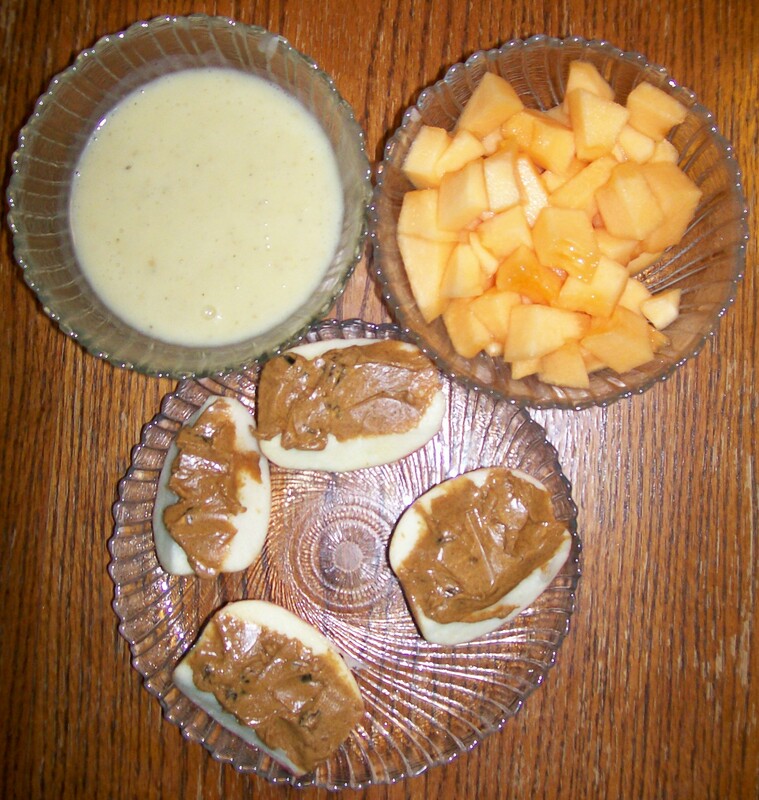 The apples/PB were good again!! In a baking container, combine all items in the “Vege” section. 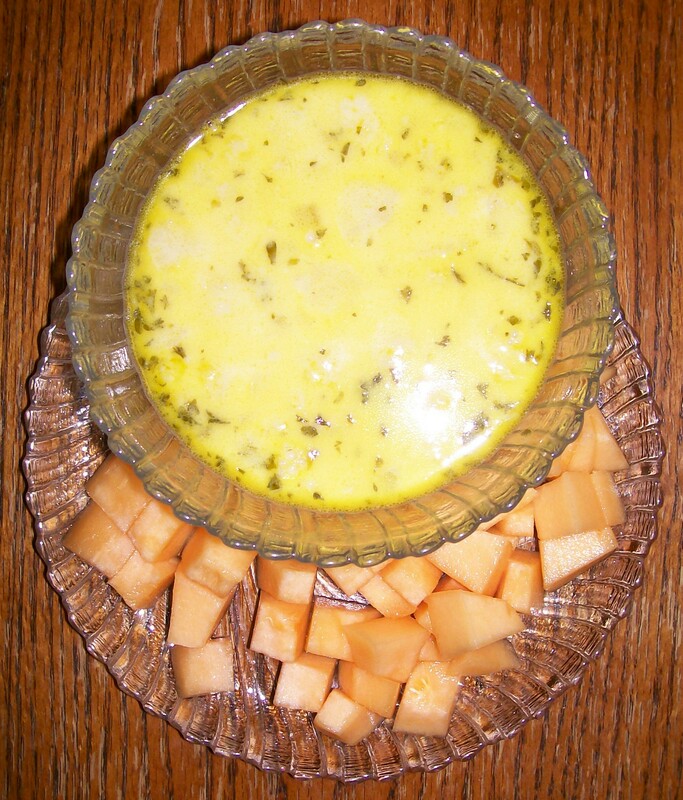 Bake for 15-20 minutes, stirring halfway through. Turn oven down to 375 degrees. Bake the rice shell for 10 minutes. Remove from oven. In a small bowl, combine the hoisin sauce and pasta sauce. Spread sauce evenly over the rice shell. Distribute roasted veges, olives and cheese on top.